The training has began on 18/06/2018 and activities will last until 03/07/2018, spanning a total of 12 working days, in the faculties of Philology and Computer Science of the University of A Coruña. The course has employed a blended learning methodology using the Moodle platform, with an on-site 4.5-hour session (9:00 to 13:30) and 3.5 hours of remote work each day. 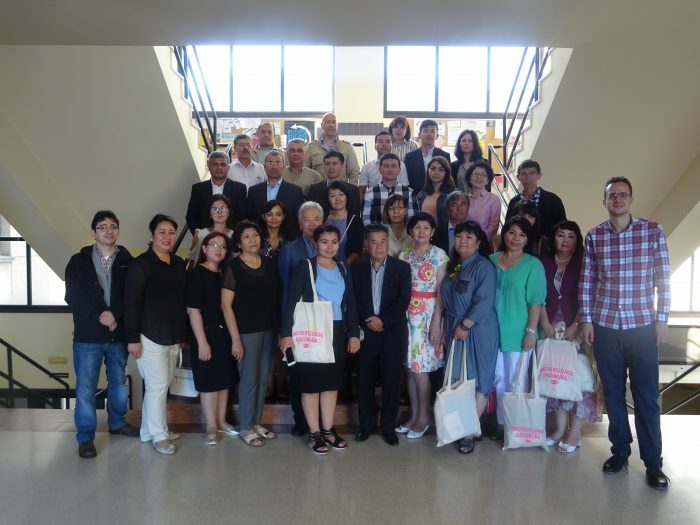 34 Central Asian professors and staff have participated in the sessions. The subjects covered in the training have been Blended Learning, Linguistics, Natural Language Processing and Quality Assessment, provided by 9 experts in each of the topics from the University of A Coruña. All of them are necessary subjects to train the Central Asian staff to implement multidisciplinary Master’s programs in Computational Linguistics, the ultimate goal of the project.